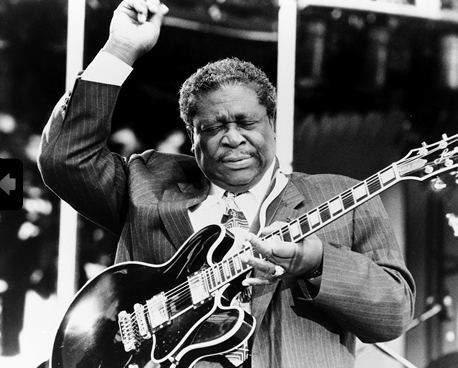 Blues legend B.B. King died last night (May 14). He was 89. Riley B. King spent more than 70 years entertaining fans with his blues riffs and, according to the 2014 documentary B.B. King: The Life of Riley, performing more than 15,000 shows by the time of his death. Along the way, he earned numerous accolades, including 15 Grammy Awards (in addition to a Lifetime Achievement honor in 1987), the Presidential Medal of the Arts, Presidential Medal of Freedom, and inductions into the Rock and Roll Hall of Fame, and the Blues Foundation Hall of Fame. In 2005, Mississippi state legislature honored the singer-songwriter-guitarist with B.B. King Day. Numerous acclaimed songs would follow, including “How Blue Can You Get,” “Everyday I Have The Blues,” “3 O’Clock Blues,” “Please Love Me,” “You Upset Me Baby,” and “The Thrill Is Gone,” which garnered King his first Grammy in 1970, for Best R&B Male Vocal Performance. Classic albums included 2000’s double platinum-selling Riding With The King, 1997’s gold-selling Deuces Wild, 1971’s Live in Cook County Jail, 1970’s Indianola Mississippi Seeds, and numerous others.